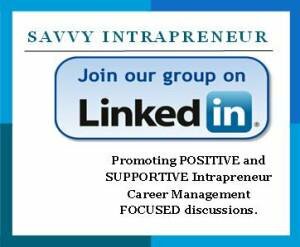 It's a great time to be an intrapreneur. I believe this is largely due to changing management strategies and technological advances in company communications. Employees across departments and disperse geographic locations are better able to collaborate on research, product development, testing, and deployment. If you're working on a solution to a problem, or developing a way to improve an existing product or system, it's never been easier to collaborate with like-thinkers (no matter where they are) to help you achieve your goals--and your company's mission. Shifts in management structures. In the past, linear hierarchies of management in walled-off departments dictated specific roles and responsibilities for workers. These departments rarely interacted; their managers shared information with executives who made final decisions. Now more than ever, organizational leadership understands that collaboration is essential for innovation, which drives success and defines the company's standing in its respective marketplace. Today those rigid management definitions are flattening. It's becoming more common for workers to be part of teams of talent with specialized skills that address specific opportunities or challenges. The idea is to form groups from across company departments that can collectively find solutions. Let's say your company wants to upgrade a current product that could sell better with changes. A senior leader would form a task team of people from research, product development, IT, customer support, sales and marketing, and so on; each with expertise in their fields. They work together, addressing issues and opportunities from their perspectives and create a new product version that works better for customers. The solution becomes a win-win-win situation for the company, its employees, and its customers. Transparency is the new reality in business. My colleague, Blaine Millet, writes a lot about corporate transparency. We agree that when company leaders remove the stigmas of departmental silos and closed communications, they open doors for constructive collaboration. From local- to global-based organizations, companies are now embracing internal communications channels that foster collaboration of employees on different floors or in different countries. The more information that can be shared equally among all employees, the more successful the company is in terms of success, as well as in employee retention. A great example of intrapreneurial collaboration comes through the various sources of telecommunications (video conferencing, Skype, etc.). Team members in disparate time zones can all "meet" in real time through online meeting tools. Companies are investing billions in technologies that facilitate connectivity and collaboration among employees. The company's intranet may have some of the latest versions of social networking platforms for internal audiences. Intranet Facebook or MySpace like profiles allow employees to search for knowledge and resources of others they find throughout the company. There are internal message sharing and blogging platforms (Google Buzz, Office Talk, etc.) that work well for collaborative efforts as well. See IBM's 2008 white paper on collaboration. Collaborate to innovate. As for entrepreneurs, intrapreneurs sometimes find that coming up with new ideas, fleshing them out, and taking them to market can be a lonely business. If it is, the process is probably doomed to failure. You need collaborators to help you launch your creative solutions that make the company work better for itself and for its customers. When intrapreneurs find repetitive road blocks to their ideas, they usually jump ship for a competitor or other company that welcomes their thinking. Or, they leave the company to become entrepreneurs to collaborate with those who want to support them. 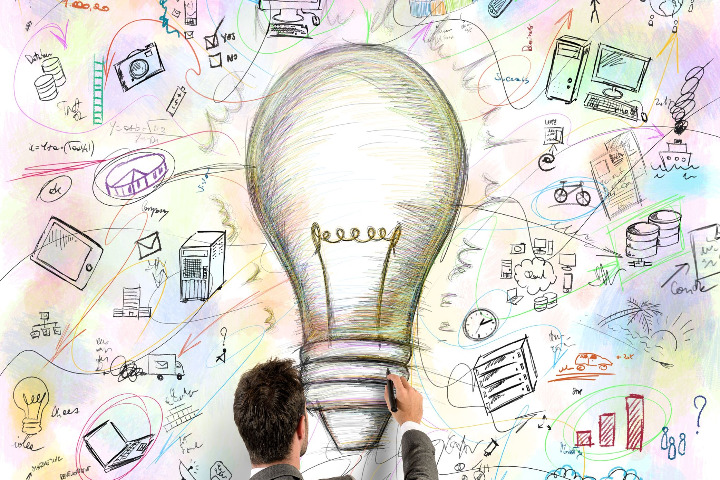 Be a collaborator to promote innovation in your company. You may be assigned to a team to develop new products or services, or to address customer issues, or to design new systems for changing company protocols. Collaboration keeps the company competitive. 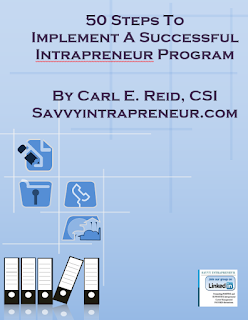 Again, there's no better time to be a savvy intrapreneur. Karen A. Meek is a corporate communications strategist. Follow her on Twitter @karenmeektweets.